Tupavco TEX-140s Router is a single-VDSL2-port router with 4 x 10/100Mbps Ethernet ports. It supports up to 30a VDSL2 (ITU G.922.3) profile, and it is perfectly suitable for triple play applications (video, voice and data). 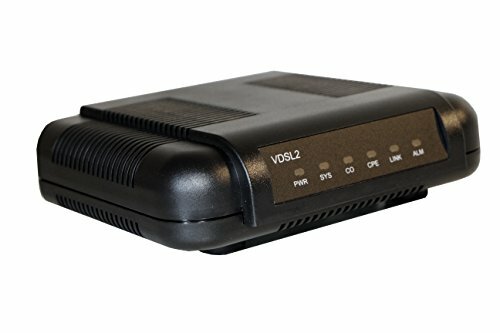 Use it with TEX-100 VDSL2 modem to establish a point-to-point connection. The actual data may vary depending on copper wire and environment. If you have any questions about this product by Tupavco, contact us by completing and submitting the form below. If you are looking for a specif part number, please include it with your message.